Grab your gun, sharpen your senses and let’s head to the forest. Be accurate and fast before the ducks fly away. Develop a steady hand, line up your sights, and master the skills to take the perfect shots of the ducks in the addictive 2D game. Let’s your hunting skills do the work, dominate all the hunters of the world and become the best duck hunter of the season in the epic and exciting duck hunting 2D game. Duck Hunting 2D: Adventure comes with two completely different playing modes. Classic mode contains multiple waves to play. The catch is a limited time for hunting a certain amount of ducks to qualify for the next challenge. 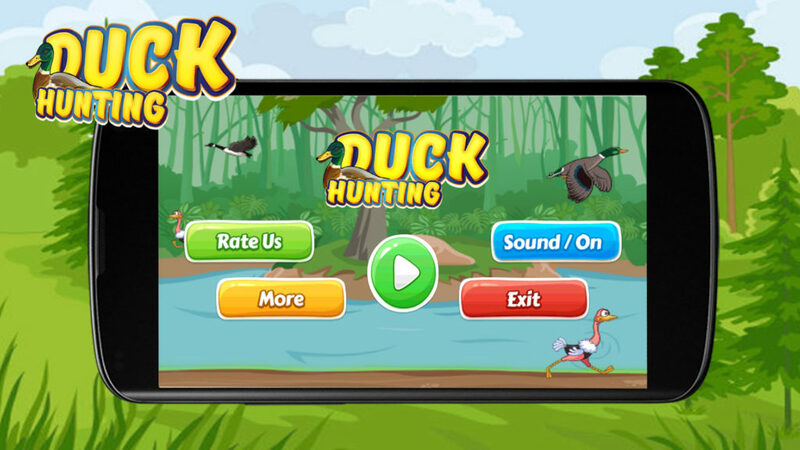 Get 3 stars by hunting down all ducks as quick as possible and become the best duck hunter. Hunting other birds will cause the immediate game failure. Championship mode is an infinity mode and will remind you the legendary duck hunting game. Enjoy the whole new epic duck hunting experience with a lot of great enhancements and blast of new features. Get the extra life to stay in the championship by shooting OSTRICH in the game to achieve high scores in the game. The game difficulty increases with the level increase in the championship mode. Upgrade your shot-gun to quick and accurate hunting and dominate the leaderboard of duck Hunters in both CLASSIC MODE and CHAMPIONSHIP MODE. Do you like Duck Hunting 2D: Adventure with multiple and interesting modes? Share it with others. All our games are shaped up with your feedback and please send your suggestion to make it a better and entertaining game. Copyright © 2017 Techno Keet Pvt. Ltd.